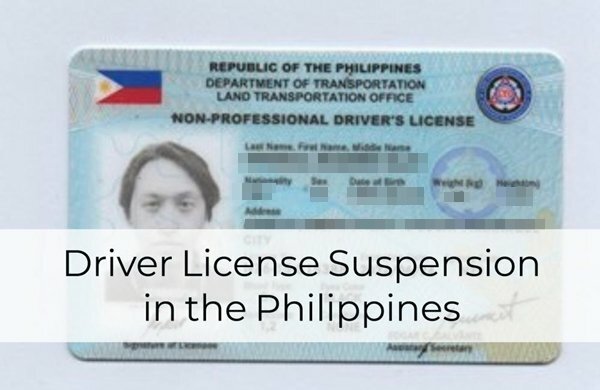 Everything about driver license suspension in the Philippines: Common violations, corresponding penalties, how to check driver’s license if suspended & more. Driving is not a statutory right but a privilege. In the Philippines, such privilege is granted by the government through the Land Transportation Office (LTO). It is the main agency that enforces rules and regulations on driving and issues driver’s license to be able to drive legally in the country. Without prejudice to possible fines that may be imposed by the LTO, a holder of driver’s license may be suspended. Thus, it is essential that one must be aware of the reasons for driver license suspension in the Philippines in order to avoid it. 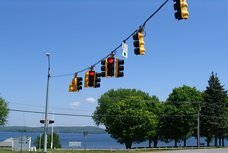 When driver’s license is suspended, the license of the driver is temporarily seized due to his commission of traffic violations. Such suspension may be immediate or eventual. In other words, the gravity of the offense committed is the determining factor on how long driver license suspension would be imposed to the holder. 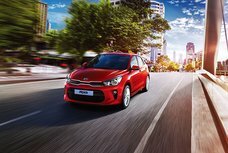 Let's look into the following article on Philkotse.com to get a comprehensive overview of driver license suspension. One of the most common reasons for license suspension is point accumulation. This happens when the holder of license reaches a certain number of points within a given period of time caused by his commission of minor and major traffic violations. One of the most common violations, for instance, is overspeeding. If you keep on violating the same rule, or violate this along with others, this will eventually lead to point accumulation. The length of license suspension depends on the number of points accumulated by the holder. Therefore, knowing and following speed limit law in the Philippines is essential if you don't want to be suspended by the police. 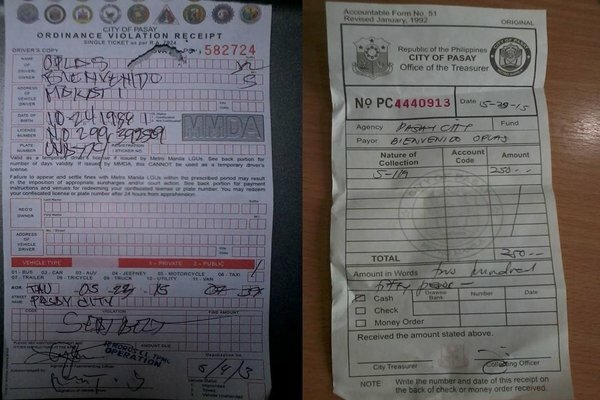 Php 3,000 for second offense and suspension of driver’s license for three (3) months. Also, driver license may be suspended for failing to wear the prescribed seatbelt, which includes the act of allowing children who are six (6) years old or below to sit in the passenger seat. 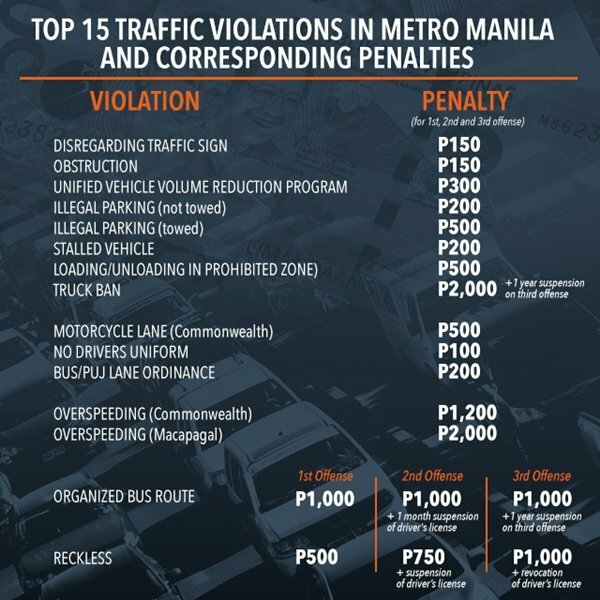 Although the first two offenses only warrant imposable fines, the third offense will yield to driver’s license suspension for one (1) week, counted from the time of the payment of the imposable fine. Always follow traffic rules only shows your respectation towards other road users but also your own self. Pursuant to LTO’s Joint Administrative Order no. 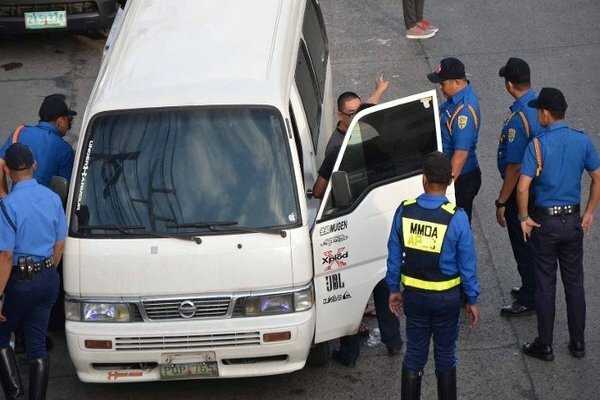 2014-01, in case of apprehension, drivers who fail to pay the corresponding fine of their violation within 15 days would result to automatic driver license suspension in the Philippines. Under the same law, a person caught driving when license is suspended is guilty of the offense of ‘driving without license’. 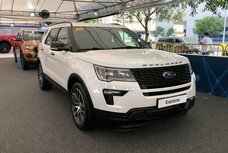 This offense is punishable by a fine of Php 3,000 and a further penalty of disqualification, for a period of one year, from driving a motor vehicle, the period reckoned from the date of the payment of the imposed fine. Driving when license is suspended also poses a certain punishment, so it is best not to drive until you get your license back. There are also violations that would warrant the immediate suspension of driver’s license. For instance, the commission of serious offense such as driving under the influence of dangerous drugs or alcohol, homicide or vehicular manslaughter, and evading police checkpoints, may lead to automatic license suspension or revocation. DUI, in particular, is very common among teenage drivers. The driver's license may be suspended for being in control of the vehicle when you are not in your best state due to alcohol. The suspension of license is also without prejudice to the filing of appropriate criminal case to the offender. 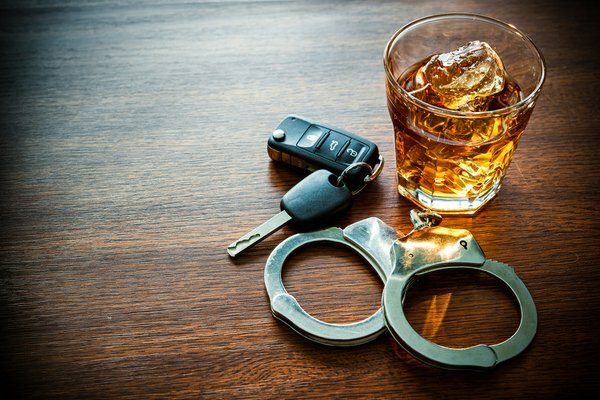 In case of non-professional drivers under the influence of alcohol and dangerous drugs, if proven guilty by the court of competent jurisdiction, the suspension will last for twelve (12) months for first conviction. The second conviction would warrant a perpetual revocation of driver’s license. Make sure you've equipped yourself with adequate driving tips so as to avoid uneccessary traffic violations. Other information that the LTO Commissioner may require. Pursuant to Section 27 of RA 4136, a driver license may also be suspended when the LTO Commissioner has a reason to believe that the license holder of a professional driver’s license is not the person authorized to operate the subject motor vehicle. 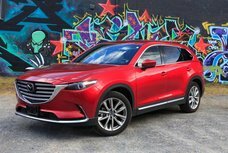 Also, the fact that the motor vehicle is operating, or is being used as an accessory in committing a crime may yield to license suspension, without prejudice to the appropriate criminal charge/s that may be filed against the driver. The suspension should not be more than three months and subject to appeal to the LTO Commissioner. Pursuant to the same law (RA 4136), if the subject vehicle is said to be improperly equipped, marked, or unfit to operate due to possible great damage it may cause to culverts, bridges, or highways, the Commissioner or the apprehending officer may also suspend the license of the driver. 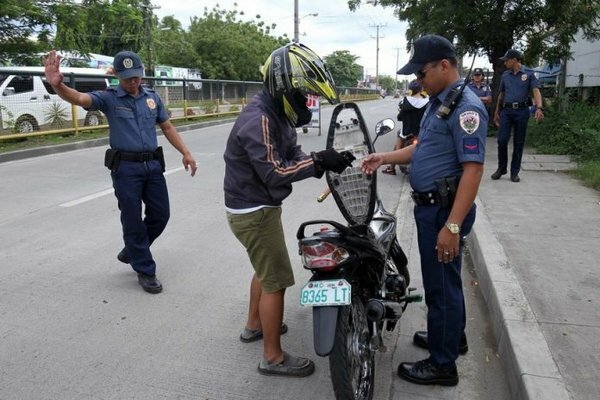 In all cases of suspension of driver’s license in the Philippines, one may check the driver’s license suspension by checking the receipt issued by the officer in charge. When driver's license is suspended, the receipt given to the driver allows him to operate the subject motor vehicle for seventy-two (72) hours, commencing from the time of the issuance thereof. Failure to settle the driver’s case would even lead to a graver penalty – license revocation. One of the common queries asked by drivers is how to check driver’s license if suspended. This is where the importance of receipt issued by traffic officer comes in. 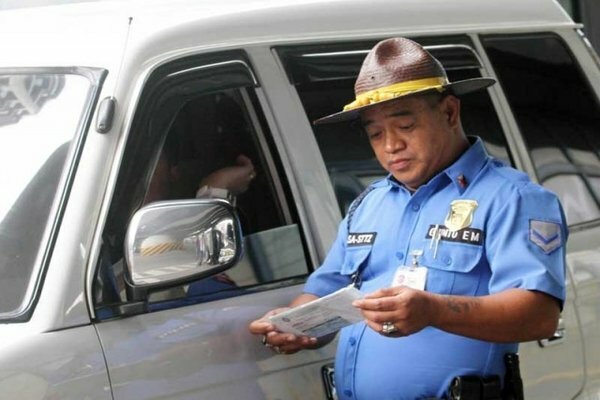 In all cases of suspension of driver’s license in the Philippines, the officer in charge issues a receipt. This receipt also allows the person to operate the subject motor vehicle for seventy-two (72) hours, commencing from the time of the issuance thereof. Failure to settle the driver’s case would even lead to a graver penalty – license revocation. To differentiate driver’s license revoked vs suspended, the latter is a lighter penalty compared to the former which is the state of being disqualified to be a grantee of license for two years in case of nonprofessional driver’s license and perpetual disqualification to get another license for professional driver’s license. 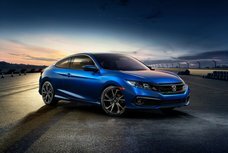 Unless the driver has issued a bond, the suspension or revocation would not be lifted. How to get LTO student driver's license?